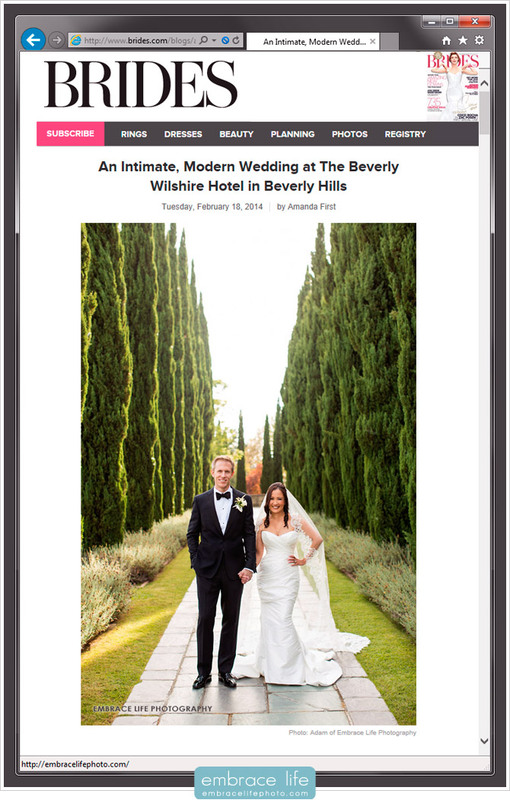 We’re honored to have our photography of Karen and Jonathan’s beautiful Beverly Wilshire wedding featured by BRIDES, along with a great write-up and interview with the bride, by Amanda First. See the full feature, here. To see more of this intimate wedding, take a look at our gallery page. Big thanks to Lynnie Kim of Button Events for orchestrating such a lovely wedding, to The Butter End Cakery for the adorable cake, Monique Powers for the beautiful styling, Garden Spells for the elegant flowers, and Carlo Cards for the incredible invitations.